Kendall Toyota Alaska is excited to offer this 2019 Toyota Camry. You've found the one you've been looking for. Your dream car. This is the one. Just what you've been looking for. Beautiful color combination with Brown exterior over FA20 BLACK interior making this the one to own! The look is unmistakably Toyota, the smooth contours and cutting-edge technology of this Toyota Camry LE will definitely turn heads. This outstanding example of a 2019 Toyota Corolla Hatchback XSE is offered by Kendall Toyota Alaska. This Toyota includes: 50 STATE EMISSIONS DOOR EDGE GUARDS (PPO) MUDGUARDS (PPO) *Note - For third party subscriptions or services, please contact the dealer for more information. * Why spend more money than you have to? This Toyota Corolla Hatchback will help you keep the extra money you'd normally spend on gas. Beautiful color combination with Midnight Black Metallic exterior over Black interior making this the one to own! This is about the time when you're saying it is too good to be true, and let us be the one's to tell you, it is absolutely true. Contact Kendall Toyota Alaska today for information on dozens of vehicles like this 2019 Toyota Camry LE. This Toyota includes: SPECIAL COLOR BLIND SPOT MONITOR W/REAR CROSS TRAFFIC ALERT Blind Spot Monitor Cross-Traffic Alert 50 STATE EMISSIONS POWER TILT/SLIDE MOONROOF Generic Sun/Moonroof Sun/Moonroof *Note - For third party subscriptions or services, please contact the dealer for more information. * There is no reason why you shouldn't buy this Toyota Camry LE. It is incomparable for the price and quality. You can finally stop searching... You've found the one you've been looking for. Just what you've been looking for. With quality in mind, this vehicle is the perfect addition to take home. Are you in the market for a new Toyota car, truck, or SUV? With the help of the staff here at Kendall Toyota of Anchorage, we can help you find a Toyota that suits all your needs and desires in a new Toyota car. Check out our popular vehicles such as the new Toyota Corolla, Toyota RAV4, and many others. Learn more about new Toyota cars and other services we offer at Kendall Toyota of Anchorage by getting in touch with our sales team! Contact us online to see how we can help you get behind the wheel of the perfect Toyota for you. We look forward to hearing from you and helping you during your next visit to your local Anchorage Toyota dealership, also serving the areas of Palmer and JBER! Find the car or truck of your dreams when you shop our inventory of new Toyota SUVs and cars in Anchorage, Alaska. 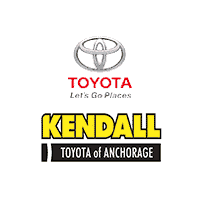 With a variety of customization options for your new Toyota, Kendall Toyota of Anchorage is convinced that we can find a new car that suits all your needs in the Anchorage area. While you’re here, take the time to explore our like-new Certified Pre-Owned Toyota cars or our inventory or used cars. Are you looking to get a little more out of your new Toyota car? Then don’t go with a car and buy a new Toyota truck. Our Toyota dealership has a massive inventory of new Toyota trucks for sale and can help you find the perfect truck for you. 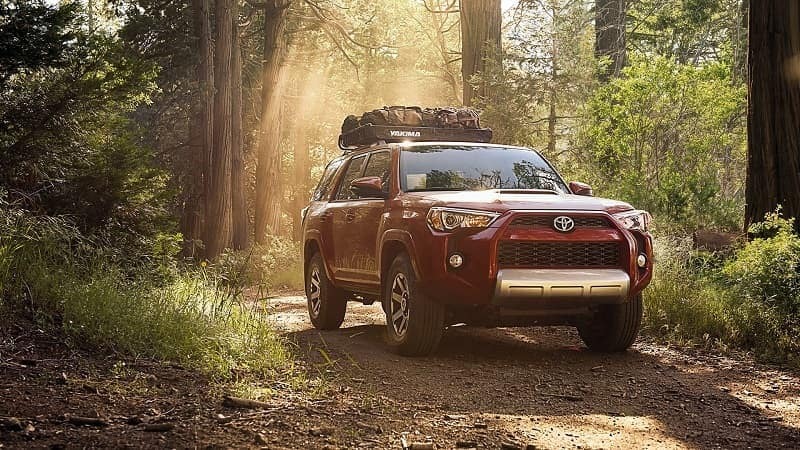 With the wide array of TRD packages available, Toyota trucks are equipped to get you where you want to be no matter which road you take, or don’t take. You can bob and weave through off-road trails with the bold Toyota Tacoma. The beefy Toyota Tundra is built to get your toys wherever you’re headed with ease. When you shop our large selection of Toyota trucks for sale in Anchorage, and you’re sure to find what you’re looking for.